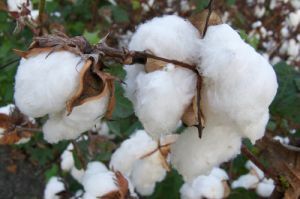 Helsinki has become the seventh Finnish city and the University of Helsinki the fourth Finnish university to earn Fair Trade designations thanks to their policy of procuring Fair Trade products. 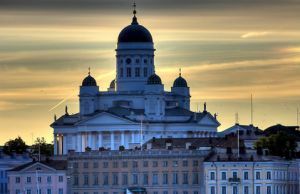 “The City of Helsinki has paid a great deal of attention to sustainable development and ethical principles in its procurement over recent years. We are pleased to be conferred this designation,” said Helsinki Mayor Jussi Pajunen. The reform of the EU procurement directives offers a number of opportunities to further sustainable and innovative public procurement. However there is a large amount of work still to be done at the national and local levels, and some opportunities have been missed during the reform process. Many parts of Europe have faced flooding in recent weeks, prompting governments to intervene with rescue services, evacuation and containment measures. If severe weather continues, further intervention will be needed to assist farmers and those whose homes and businesses are damaged. In the longer term, governments may seek to develop better warning and defence mechanisms, and to adapt planning systems to take account of the effects of climate change. The risks and challenges posed by floods are not new, but their pattern and impact mean public authorities need to invest in innovative and sustainable products, services and works projects. Will the new rules on procurement assist public authorities in making these and other important investments while still achieving value for money? One of the stated objectives of the reform was to facilitate strategic procurement taking account of environmental, social and innovation factors. Another was to provide more flexibility in procedures and timelines, complemented by greater use of e-procurement. Given the first two goals, the idea that the reform could also result in a 'simplification' was perhaps unrealistic. The reform process itself, which involved a series of compromises between the European Commission, Parliament and Council (representing the Member States) highlighted the tension between these various ambitions. 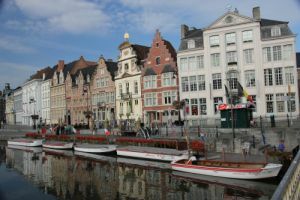 Registration is now open for EcoProcura 2014, which will take place in Ghent (Belgium) from 24 – 26 September 2014. Answering questions on how to capitalise on the greater cost efficiency of sustainable procurement, the obstacles to mainstreaming sustainable procurement and developing integrated sustainable procurement strategies across organisations, the conference provides a dynamic setting for participants to exchange and equip themselves with essential information on implementing sustainable public procurement and procurement of innovation. A call for contributions has also been launched, and is open to local, regional and national governments; public authorities such as universities and hospitals; businesses, suppliers and manufacturers; and scientific or research organisations. This is an excellent chance for participants to promote what they are doing, offer advice, seek input and directly engage with the procurement community. The deadline for submitting proposals is 24 April 2014. Please send proposals with a completed application form to ecoprocura2014@iclei.org. Plenaries and break-out sessions will provide a dialogue between speakers and participants on the latest developments in legislation and policy, as well as on specific procurement processes and products. Additionally, EcoProcura 2014 features a ‘Meet the Buyers’ event, allowing public procurement experts from the public and private sectors to meet and exchange information. 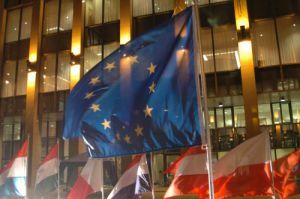 Following approval by the European Parliament, the European Council has adopted the revised public procurement directives, marking a major overhaul of public procurement rules across the EU. The revised directives aim to modernise public procurement, setting out new rules for public authorities and public utility operators. The review was carried out as part of the Single Market Act, a series of measures intended to boost the European economy. The adopted legislative package intends to improve outcomes through making procurement more flexible and less administratively burdensome for public authorities. Societal goals will be better embedded into procurement processes, such as environmental protection, innovation, and employment. The legislation also aims to improve market access for small and medium-sized enterprises (SMEs) by reducing participation requirements and simplifying documentation obligations. New measures to minimise conflicts of interest will come into force, as will obligations for member states to monitor and report on public procurement activity. This data will be used to improve the efficacy and uniform application of EU law in the field. 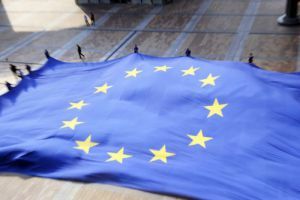 The European Commission has launched the first calls for projects under Horizon 2020, the European Union’s €80 billion research and innovation programme spanning the next seven years. The funding over the first two years is worth more than €15 billion. Horizon 2020 is intended to help boost Europe's knowledge-driven economy, and tackle issues that will make a tangible difference in people's lives. Twelve areas will be a focus for action in 2014/2015, including sustainable and innovative public procurement. 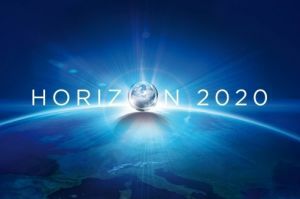 The funding opportunities under Horizon 2020 are set out in work programmes published on the EU's digital portal for research funding. “Horizon 2020 funding is vital for the future of research and innovation in Europe, and will contribute to growth, jobs and a better quality of life. We have designed Horizon 2020 to produce results, and we have slashed red tape to make it easier to participate.” said European Research, Innovation and Science Commissioner Máire Geoghegan-Quinn. Most calls from the 2014 budget are already open for submissions, with more to follow over the course of the year. There are a number of calls relating to innovative and sustainable procurement; ICLEI will lead on the development of at least one project proposal and is happy to help facilitate the setting up of other independent consortia. If your city is interested in working with us on one of these projects, please contact: procurement@iclei.org. 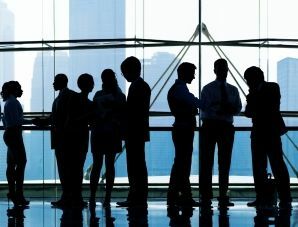 Procurers from across Europe are invited to apply for the PPI Platform Experience Exchange, which will see procurers from less experienced organisations travel to advanced organisations to gain a more in-depth understanding of innovative procurement processes. As well as developing skills on PPI and PCP by learning from others, participants will also experience new ways of thinking about problems and solutions. Additionally, participants will get the chance to see PPI and PCP in action through field visits. Currently three advanced host cities are taking part: the City of Torino (Italy), the City of Birmingham (United Kingdom), and Réseau des acheteurs hospitaliers d’Ile de France, Paris (France). To take part, applicants should discuss the exchange with their line manager and consider the best time to participate. They should then complete the application form and send it to the PPI Platform team. The timing for the exchange is flexible. A limited number of places will have travel and accommodation covered. Those interested in becoming a host can also fill out an application form and return it to the same address. Benefits for host organisations include the opportunity to promote their work on PPI and PCP, and the chance to exchange ideas with committed, enthusiastic individuals. Frustrated with the complexity and rigidness of federal procurement laws, Philadelphia and North Carolina (United States of America) have set up initiatives to encourage suppliers to develop innovative goods, rewarding them with guaranteed government contracts. The set up marks a win-win situation for both parties: suppliers can innovate with financial risk minimised, and procurers receive an innovative product they were lacking. Philadelphia’s Fast FWD initiative will select ten entrepreneurs to develop innovative projects that enhance public safety, while North Carolina has launched a new innovation centre, which will allow the state to pilot innovative goods and work more closely with suppliers before committing to large-scale purchases. 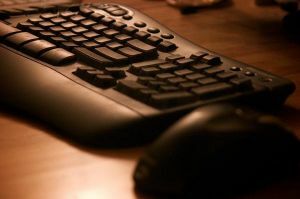 Suppliers in the information technology sector have been widely supportive of the centre.